The Kensington neighborhood of Philadelphia is a hub for heroin dealers and users on the East coast. The city tried to clean up the area but did little more than move the problem around. After residents complained of yards strewn with used needles and the smell of dead bodies, the city evicted drug-addicted homeless people from underpasses and abandoned lots, only to have them resettle down the block. Kensington has suffered more than most areas, but many towns and cities in the U.S. have struggled to cope with a rise in heroin overdoses. Many of their residents are wondering how this happened and what they can do about it. A paper in the November issue of the American Economic Journal: Economic Policy identifies one important driver of heroin overdoses across the U.S.: the reformulation of OxyContin. Doctors liberally prescribed opioids throughout the 1990s in the U.S., leading Americans to consume more opioids than any other country. Dependency and abuse grew at the same time. OxyContin became one of the most widely abused opioids due to its “extended-release” formula, one large dose that lasted for 12 hours. People who abused the drug were able to chew, snort, or inject the pill to ingest a full dose of oxycodone — the main ingredient in OxyContin — all at once. “There was a major shift in the opioid epidemic around 2010 when people shifted from primarily abusing prescription opioids to then abusing heroin and later fentanyl,” Abby Alpert, co-author of the paper, said in an interview with the American Economic Association. Alpert and her co-authors, David Powell and Rosalie Liccardo Pacula, began looking for the factors behind the change. 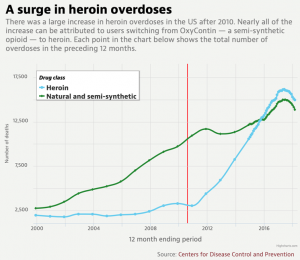 They suspected that a reformulation of OxyContin in 2010 could be an important reason for the sharp rise in heroin deaths. Purdue Pharma reformulated OxyContin in 2010 to make it more difficult to crush and dissolve. It was so effective, the authors found, that misuse of OxyContin declined by about 40 percent over the four years following the reformulation. The researchers also noticed that states that saw a large increase in heroin overdoses — like Pennsylvania — had high rates of OxyContin misuse prior to the reformulation. Likewise, states which saw a small increase in heroin overdoses had low rates of OxyContin misuse. Using these state differences in OxyContin misuse prior to the reformulation, the researchers showed that nearly all of the rise in heroin deaths was the result of users switching from OxyContin to heroin. Factors like the price of heroin and state level initiatives against prescription opioid abuse seemed to play very little role. In short, users found the reformulated OxyContin hard to abuse and heroin a ready substitute, according to Alpert. This isn’t the only paper to argue that the OxyContin reformulation ignited the heroin epidemic. And it’s one of many studies to show that narrow supply-side interventions into drug markets have done little more than shift the problem. It’s a problem that occurs so frequently it’s been dubbed the “balloon” effect by drug-policy experts. Put pressure on the problem in one place, and it reappears in another. Consumers and producers of drugs regularly find substitutes. There are signs, though, that the epidemic is abating. 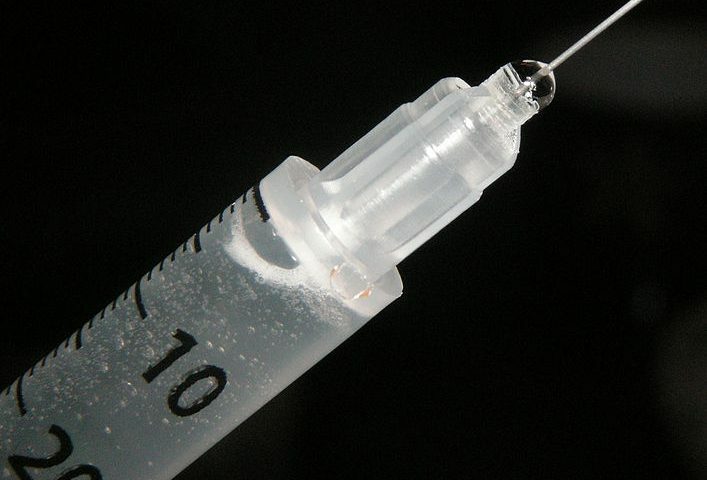 National heroin overdoses have dropped slightly over the past year. And more resources are being directed toward programs that Alpert believes could help bring relief. “Supply-Side Drug Policy in the Presence of Substitutes: Evidence from the Introduction of Abuse-Deterrent Opioids” appears in the November issue of the American Economic Journal: Economic Policy. This piece was published with permission of the American Economic Association, which first published it as a Research Highlight. The accompanying photo, created by Psychonaught and obtained from Wikimedia Commons, is a public domain image. For more research on opioids, see our write-ups on opioid treatment and the criminal justice system and the narrowing race gap in prescription opioid use. Citation: Alpert, Abby; Powell, David; Liccardo Pacula, Rosalie. "Supply-Side Drug Policy in the Presence of Substitutes: Evidence from the Introduction of Abuse-Deterrent Opioids," American Economic Journal: Economic Policy, November 2018, Vol. 10, No. 4. DOI: 10.1257/pol.20170082.